Both in Anna Akhmatova and in Osip Mandel'štam’s poems dedicated to the Great War we find a kind of an obsession for the “century” and for the “age” they were living in. 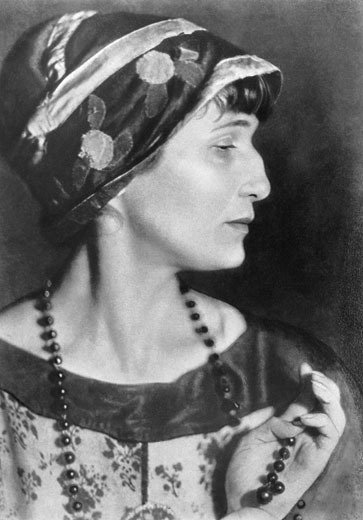 And this obsession is clearly developed in the famous Akhmatova’s poem proposed today in the translation by Stephen Edgar. In Memoriam, July 19, 1914 is included in the book “White Flock” (Belaya Staya) of 1917 and was written exactly one hundred years ago as a recollection of memories and sensations brought by the beginning of the war in July 1914. It is therefore a poem of memories, of "recollection", two years after the war outbreak. It is one of the great poems in the heritage of First World War literature: it's about time, compression of time, psychological percetion of time, duration, war, God and the role of the poet. "A book of portents terrible to read" is at the end the heritage of the World War I itself. One of the reasons why we consider comparation (and comparative literature as well?) useful is the huge difference from this recollected memories of the beginning of war and, for example, the way other poets welcomed the war in other countries. The feeling of acceleration, that was one of the distinctive marks of the Twentieth century lies there, in the first two verses of this poem composed one hundred years ago.